Reel Talk Online: First Look: "We Bought a Zoo"
First Look: "We Bought a Zoo"
Writer/director Cameron Crowe is generally a crowd-pleaser. He's one of the few writers who can add a really tasteful amount of vulnerability to male characters, while also uncovering their hidden strengths. From Jerry Maguire to Almost Famous and Say Anything, he usually impresses (aside from that dastardly Vanilla Sky...). But we digress..
Now the critically-acclaimed director seems to be going the Hallmark route with a "heartwarming" new trailer for We Bought a Zoo, starring Matt Damon, Scarlett Johansson and Thomas Haden Church. Damon stars as a dad who just moved his family to the country and decides to renovate a zoo. There doesn't seem to be much more to the plot, given the trailer below. But, Crowe being Crowe will probably have some life-altering moment from the lead male character to cause him to re-examine his life. Check out the clip below. 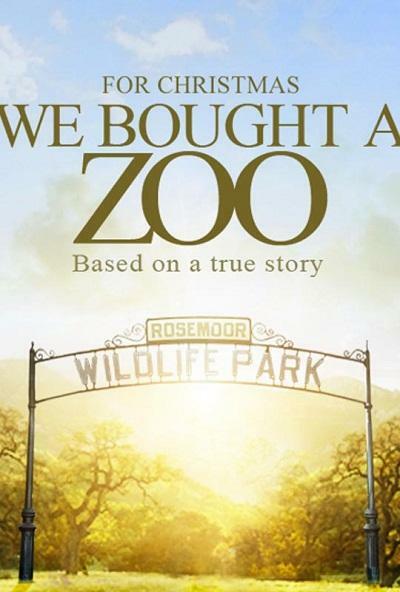 We Bought a Zoo hits theaters in time for the family-friendly holiday crowd on December 23. This looks more Elizabethtown than Almost Famous. This looks so schmaltzy! The cast is nice but it feels like Lifetime channel movie big time.